Given how popular GoPro cameras have become in the last few years, especially among people who indulge in adventure sports, it was about time that someone made ahead and came up with a useful way to incorporate them for diving purposes. Much to the joy of scuba divers, free divers and spearos everywhere. XS Foto has launched their own GoPro Diving mask and if the results are anything to go by, the product has proved to be a huge success. No matter what kind of underwater sport you partake in, you always need to ensure that you are wearing a dive mask that will allow you to see clearly when you are underwater. This mask by XS Foto does just that by getting a couple of things right. First of all, the mask is frameless. This means that there are no huge lack borders obstructing your peripheral vision, which is the case with most common masks. The fact that there is no frame makes the mask lighter as well and allows for a very comfortable fit. 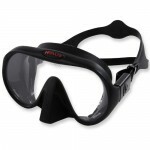 This is very necessary as you will also have the added weight of a GoPro camera on your head and a heavier dive mask would just make things that much more uncomfortable for a diver, especially if he or she intend to focus all of their attention on spearfishing. Secondly, the mask is constructed with crystal silicone, which is the highest grade of silicone that is available to man. This is much sturdier than rubber and also very easy to clean. Rubber can easily react with salt water and deteriorate with time- no such worries whatsoever with silicone. The skirt of the mask is also of black color that completely blocks any light from above the surface of water and provides for great tunnel vision. 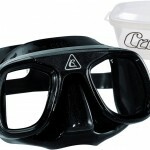 This combined with ample peripheral vision clarity provides for a beautiful underwater experience. Even the EverClear lense is free of impurities and demonstrates none of the color residue deformities (that green tint) that many other dive masks in the same price range do. After all when you are making the effort to dive underwater, you need to ensure that you can enjoy the underwater life in all its beauty without the vision being tinted in any way. 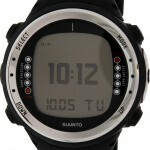 The best part is that the glass is impact resistant and can easily withstand most accidental throwing around. 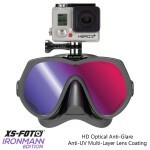 A mask for GoPro cameras! The most unique thing about this mask is the stainless steel coinscrew attachment that allows you to fix any model of the GoPro camera on to this diving mask. The attachment is very secure and you do not need to make much of an effort to properly screw in the GoPro camera. You do not even need any additional screws for that as the attachment can easily hold the GoPro camera using the default threads that come with it. 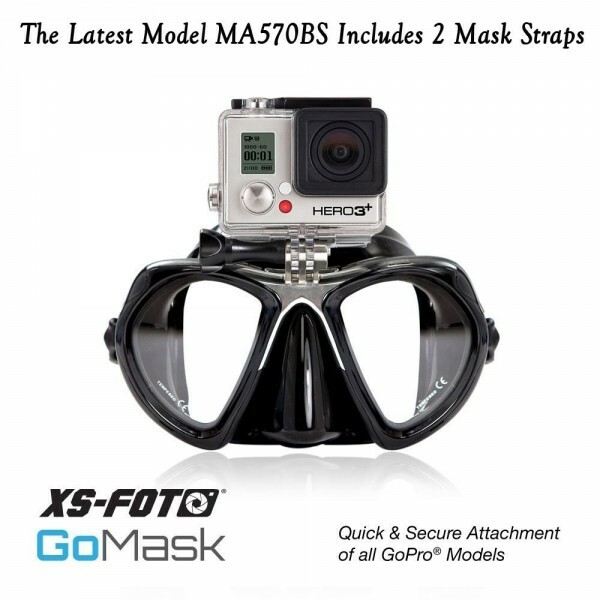 All in all, if you want to capture footage of your underwater adventures with a GoPro camera then you are not likely to do better than this great GoPro diving mask by XS Foto. Make sure to give it a try.